Welcome to the Bookkeeping category page! Posts in this category will have something to do with bookkeeping. Bookkeeping is part of financial accounting. 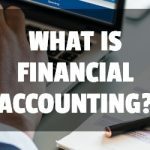 It is generally the recording and classifying of financial transactions while accounting is more of the analysis and reporting of transactions. It includes recording general ledger items, generating sales invoices, entering expense invoices, and overall ensuring all the financial transactions are out in the right place, per generally accepted accounting standards. For example, a bookkeeper would do a bank reconciliation to ensure that everything that passed through the business bank account is recorded in an accounting system. An example of an accounting system is QuickBooks Online. beauadminMay 31, 2018Comments are off for this post.